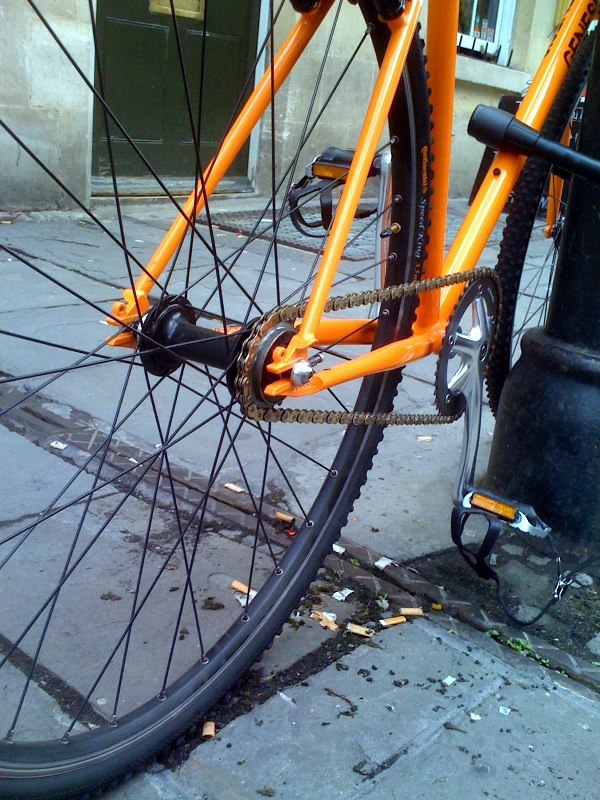 Really interesting tyre choice, wonderful colour, fixed gear and to top it off, a gold chain, tensioned perfectly. This bicycle is so fabulous looking that even standing in a pile of dogends and street scuzz cannot impinge its fundamental awesomeness. I’d love to see it in motion. 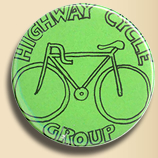 My good friend John Hayes, who long term readers will remember is my summer cycling buddy and who works for Moulton Cycles, came along to one of our Explorer Scouts meetings in order to give a talk on ‘looking after your bike’. He turned up with a toolbox and stand, looking lean and keen, and I provided tubes, lubes and cleaners. First the Explorers gathered round while John took everyone through cleaning the bike, lubing and simple maintenance. He talked about the basic mistakes that people make, damp in the cables, dirty chains and soft tyres. Then he moved onto how to get some longevity out of your bicycle, mainly through the use of GT85 to chase out water and give a teflon coating. Mike’s chain was pretty filthy, so it was a good opportunity to use it as an example of how to clean and maintain a chain. All the Explorers had brought along their bikes, and soon we had them all upside-down and John was getting everyone to check over their bikes, clean out the water and muck and relube. John then got out his spanners and went round adjusting brakes (including mine, the back blocks had been worn right down in a month by the grit from the muddy roads), sorting out gears and recommending which bikes needed attention from a bike shop (including one that needs a complete wheel rebuild – but that was a 1980s Peugeot). He also shortened Howard’s bike’s chain by two links and sorted out his gear problems. By the end of the night the Explorers departed with bikes in a much better condition than when they arrived, and hopefully John’s talk has inspired them into looking after the bikes a bit better. It was good to see teenagers who had no real bike knowledge gaining confidence as they found their way around the components. Even the simple act of inflating the tyres to the correct psi (45 for knobblies, 85-100 for slicks) gave an instant and marked improvement to every bike. They took them for an excited spin round the car park at ten, and I think all of them were delighted, the thanks they gave John was certainly ethusive and genuine. From Mike’s and my point of view, we certainly felt a lot more confident about the forthcoming cycle trip to Belgium and France, knowing John had given the bikes a good look over. Afterwards Mike and I took John to the pub for a couple of pints. We left at 23:30 and, as Mike and I both had our steeds and full kit, we briefly considered a quick night ride, luckily the cold wind instantly disuaded us from this excellent, but ultimately foolish idea. A great evening, cheers John. Novemberfive is up to his old tricks again, tinkering with electronics and creating new and amazing uses for things beyond the vision of the manufacturers. This week he put a tiny TV camera on the back of his folding bike and rode it round the garden. The resulting video is to my mind slightly apocalyptic and disturbing, it has shades of The Ring about it, all that distortion, white noise and flickering. Or on a more uplifting note, it also looks like early spaceflight footage from an apollo mission. Read all about it here on Novemberfive’s fine blog. …Hmmm, sunny intervals, sounds like the weatherfolks are hedging their bets. I can’t wait to see John’s face when he sees the rack, he does despair of my non race-style additions to the bike and my attire. To be fair, carbon forks, aluminum frame and canvas panniers is not the most consistent look. As it was sheeting down with rain all day, and I was working right up to the bell, John and I decided to postpone the Wednesday Ride and possibly make it a Thursday Ride instead. That did not stop us getting all bikey though, by eight forty-five in the evening I was in John’s workshop with some of the parts of the shopper bike. The frame and forks with stem and headset attched, and the rim, hub and spokes for the back wheel. John looked down at the Sturmey Archer hub I had just handed him and happily explained that it was assembled in August of 1984. He showed me the 84 8 stamp on the metal and said it was made in England, they stopped stamping the dates when the manufacturing was moved overseas. John’s first job was stripping down, cleaning and rebuilding secondhand bikes that had been brought in for part exchange at a bike shop. He learned about classic hubs like the Sturmey – many modern bike mechanics in a shop would rather you bought a new hub that have to open up a Sturmey, but not John, he has an appreciation of good engineering. John got the stem off with a combination of brute force, a metalworker’s vice, GT85 and a big hammer covered in a rag. Then he made me laugh, he kept saying, “well I’m not going to take off the bottom bracket tonight”, then proceeded to do so, then “I won’t take off the cups on the headset” just before doing just that. We surmised about doing up old bikes and reselling them and I brought Coco’s Variety Store to his attention. This fantastic shop, owned by the legendary Mr. Jalopy is a model of recycled cycling, with bikes rebuilt from scrap with parts from other reclaimed bikes. With the last bits of the bike in pieces, much chat and a cup of tea later, we decided to call it a night. Phase two of the shopper rebuild is now in operation – parts cleaning and repaint. John has the back wheel to build and I now have a lot of greasy bearings and oily bits of metal to clean up. then comes the repaint, and finally the all important reassembly. The only problem is, I now have to go to London for a client meeting with ingrained oil on my hands tomorow. I’m sitting outside, typing on the laptop, waiting for John to arrive, we’re going on the Wednesday ride, at the moment it looks like a trundle round the Frome bypass then up a stupidly big hill under the forest, sounds interesting, and more on that later. 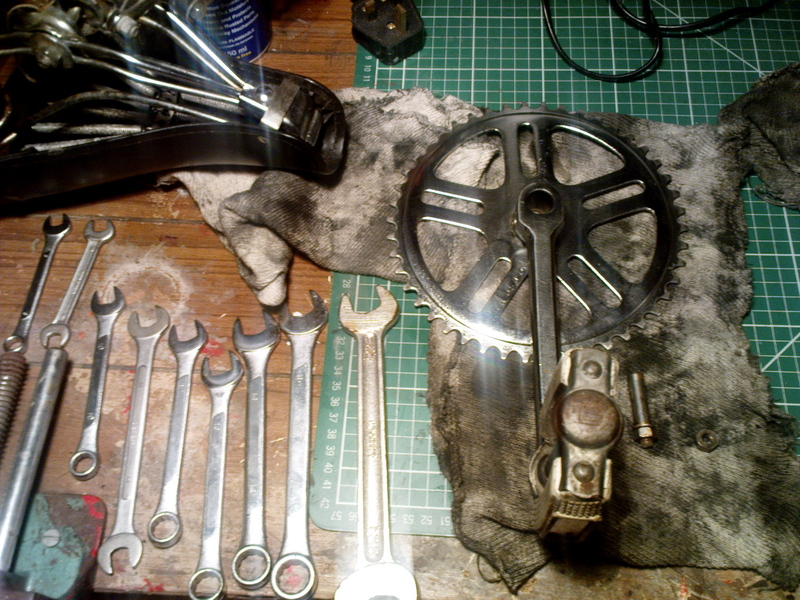 As I’ve started restoring this old shopper, it’s given me a good excuse to have an overview of my tools. 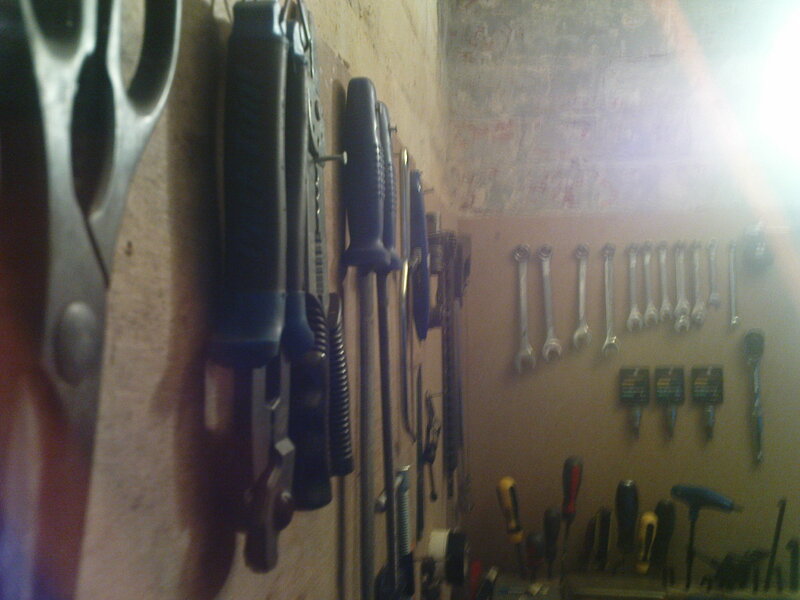 A workshop is a fine thing to have access to, it allows you a place for your tools, and of course, the space to actually own some. I think it’s a shame that many of my friends have less than the bare minimum of tools in their houses. The attitude these days is that if something’s broke, buy another. I remember my wife’s Uncle Roger telling me how his grandfather, a ship builder lavished incredible care on his tools, and never recovered from having a portion of them stolen. 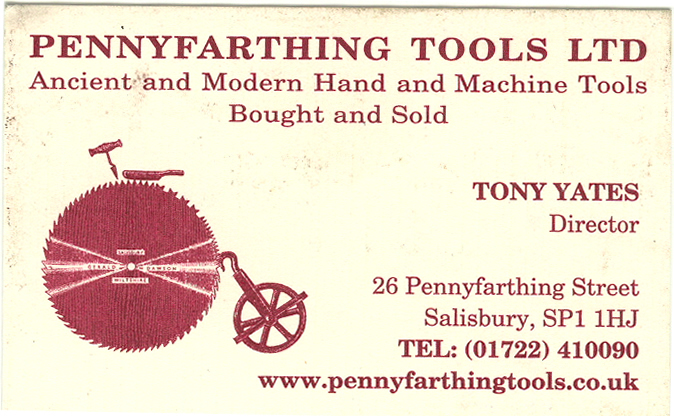 Although I have bought a fair few tools brand new, I tend to pick up other ones as donations, or from shops like Penny Farthing Tools in Salisbury. Penny Farthing is a terrific store, essentially it seems to be in an old garage, but it is packed, absolutely packed with amazing tools. Some are specialist or collector’s items, but alongside all that you will find a box of spanners where everything is 50 pence, or an old oil can for a couple of quid. I absolutely cannot leave without spending some money – often only two pound fifty or so, but coming away with a nice tool, such as a well used spanner, or a wire brush drill attachment – or even as I did once, a German Engineer’s folding ruler that folds out to two meters. I am reaching the stage now where when I need a tool for something, I actually have it in the workshop, I recall the days when I would be having to take a trip to the hardware store for a new screwdriver or wire cutter. At the moment though, I own very few bike tools beyond tyre levers, chainbreakers (2) box spanners and bike size hex keys. I could also do with a magnetic tray to hold small parts. Luckily for my bank balance, Penny Farthing’s only bike tool was an old fashioned bike spanner. Well, it was their only bike tool, until I bought it. Work continues on the recycled shopper. I finished work today at 23:00 and I’ve just spent forty five minutes taking the bike apart. I had to drill out two of the bolts holding the mudguards on, but thankfully not the cotter pins as I did on my Alpine 10. The seat post was surprisingly not rusted in and came out fairly easily, bright, unmarked chrome emerging from the downtube. I was hoping to get away with not taking the forks off, but it’s readily apparent that the bearings are crumbling away – a horrible grating feeling attends each twist of the headset. I shall have to borrow a headset spanner off someone. The handlebars came off with reasonable ease, as did the grips (with a bit of pulling). 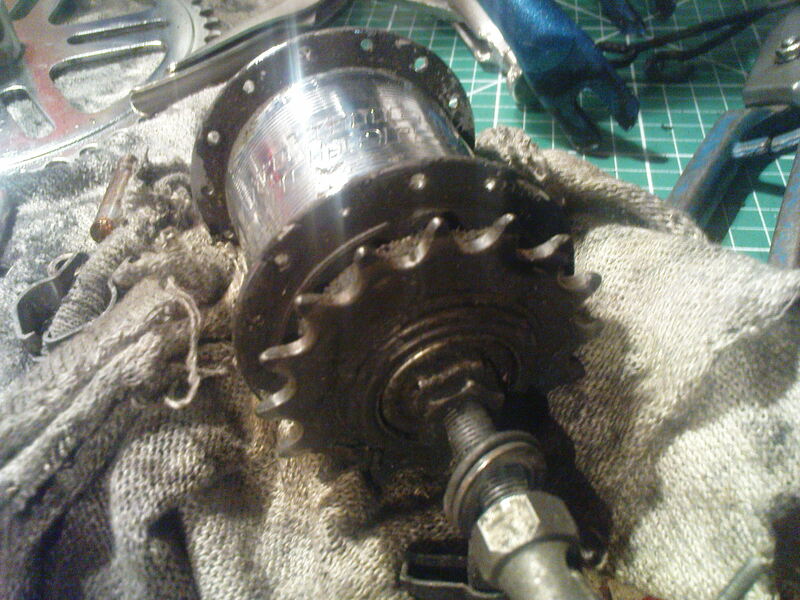 Finally I unpinged the remaining spokes of the rear wheel and released the Sturmey Archer three speed hub. Ah the Sturmey Archer- a masterpiece. Beneath the caked on grime, the metal was bright and shiny, unmarked by rust. The gearing seems unaffected by the neglect the bike has suffered, so hopefully, with a little servicing, the hub will be good for a long while yet. 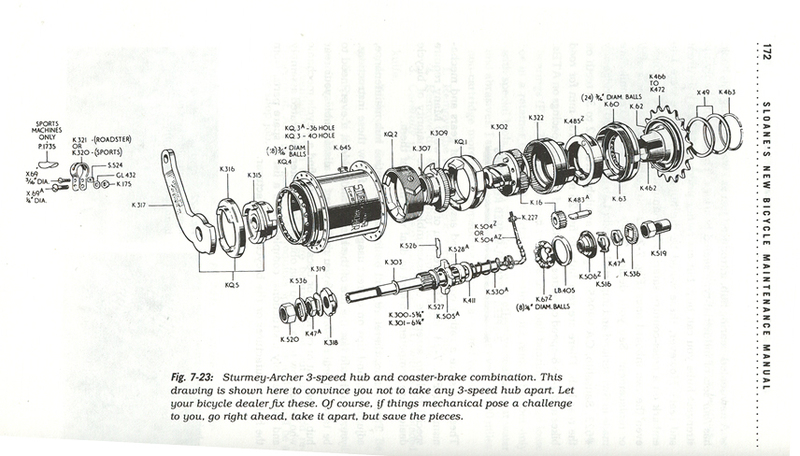 Here for your entertainment is an exploded diagram of a 3 speed Sturmey that I have scanned in from the legendary Soames Bicycle Maintenance Manual. I was at an un-named recycling centre (nee ‘tip’ or ‘dump’ as they used to be known) last week, when I spotted a rusted shopper – a Halfords own brand knock off of the folding Raleigh R20. I knelt down to snap a few photos on the ol’ camera phone, next thing I know a florescent jacketed workman is helping me to load it into the back of the car. The location will remain nameless as apparently one is not supposed to take stuff away from the recycling centre once it’s there. This to me seems like utter nonsense – In order I think the mantra goes something like ‘reduce, repair, reuse, recycle’ – with recycling at the end of the line. I’m sure there are very good reasons why operatives are not allowed to let people have things from the centre, but surely people taking stuff away is going to firstly make their job easier, and secondly it will put less pressure on landfill etc. Anyway – good on the team of bleeeep recycling centre for giving the bike to me. It folded up nicely to fit into the car. On arrival at home I got it out of the boot and gave it a good look. Wheels – 3 speed SA rear hub – still functioning smoothly – badly buckled – both rims steel and shot through with rust – verdict – rebuild wheels (actually get someone else to rebuild wheels would be more accurate). Brakes – nothing a bit of WD40 won’t cure – no terminal rusting – blocks fine. Cables – shot – verdict – will need replacing – white housing. 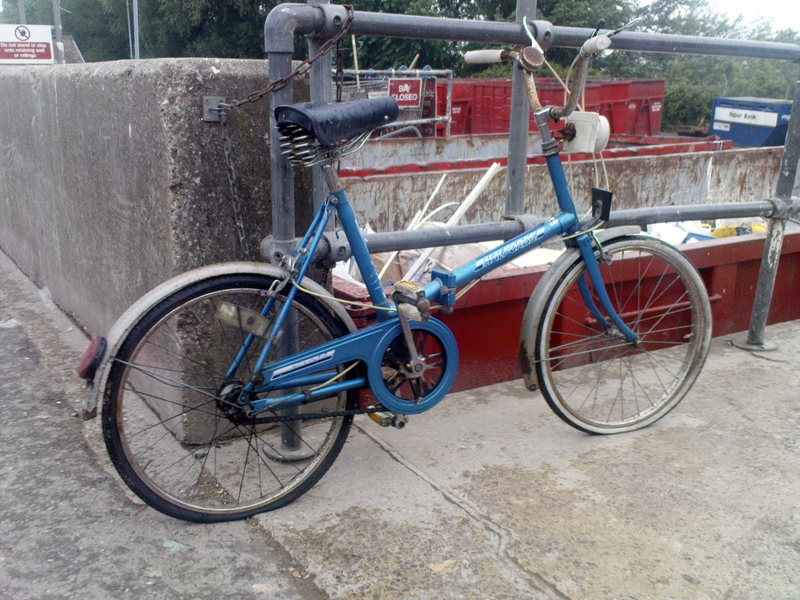 Frame – minor rust on bottom of rear triangle where paint has scratched – verdict – treat rust – respray blue and white. Seatpost and saddle – Saddle needs a cover and some cleaning, seatpost could do with being replaced or at least sanded off and painted. Handlebars/levers/grips – handlebars will need sanding off and painting – levers are fine as are white plastic grips. Bottom Bracket/chainring/chain/cranks/pedals – all good apart from the chain. Verdict – cleaned up well except for the chain which is to be chucked. 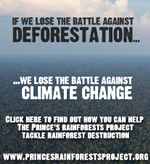 Stand/bell/lamp – all dead and removed. Mudguards – very rusty – verdict – take off sand down and repaint – if they hold together that is. This could be a fun project. I’ll try and do it as cheaply and quickly as possible. I think there is potential to make this into a very characterful and fun bike, saving it from being scrapped and hopefully give it a new lease of life. I’ll post regular updates and let you know how it’s going. Here’s an interesting little device. I first noticed this in last month’s Wired magazine and thought it looked like an amusing bit of hokum. Now I see that Firebox are selling it. It’s a mini wind turbine that can power mobile devices like iPods. You need to have winds of 9-40mph to power it though, optimum charging seems to occur at around 19mph where 20 mins of charging will give you 30 mins of play time on an iPod or 4 mins talk time on a mobile phone. It tops out at 40mph. All well and good if you want to stick it out the window on a windy day, or if you’re camping, but crucially, you can also buy a bike mounting kit. Now 40 mins of riding at 19 mph should in theory give you one hour of iPod time, or 8 mins of talk time on a phone. I don’t know how an iPhone compares with that, but in theory one could be completely mobile powerwise, using an iPhone or similar to snap pics, upload to flickr and also blog all on the move without recharge. Ideal for touring. What I want to know is would it be possible to use it to trickle charge a bike light? There must be a hack that would allow that. Now that would be really useful. I took a brief ride today to the local garage to pick up some snacks. I was hungry so didn’t really feel like riding hard, the Brompton sufficed. Really summery weather, heat haze, chitinous wings bouncing off my face as I cycled along (mouth firmly closed to avoid ingesting ‘winged protein’). Lovely. On the way back I freewheeled into the village, seeing how far I could get without pedalling. Downhill, up again, sl o w i n g r i g h t d o w n – freewheel clicking slower and slower like a clock winding down – then speeding upagaininthedipbefores l o w i n g down again on the next rise. The answer was, right up to the front of the Cross Keys pub. For details of the mini wind turbine and how to purchase it, click here to go to the product page on Firebox.